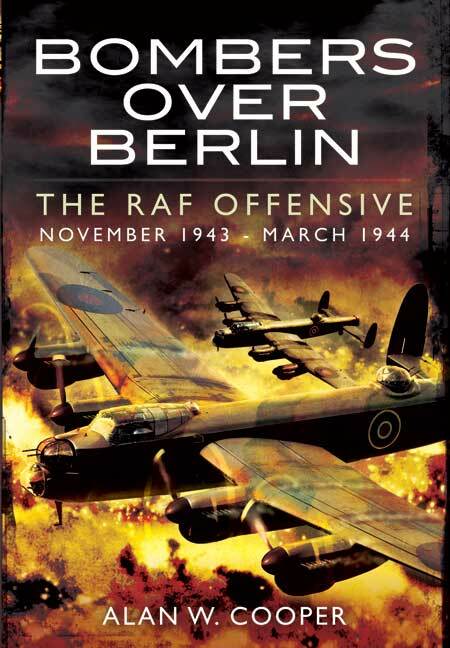 You'll be £14.99 closer to your next £10.00 credit when you purchase Bombers Over Berlin. What's this? First published to acclaim in 1985, this book is set to be a timely release, in line with the 70th Anniversary of the outset of the Raids, near approaching in November 2013. Berlin itself was 'the Big City'. It was deep in the heart of Germany and heavily defended with flak and nightfighters, not only because it was the administrative capital but also because it was vital for the German war production machine. Heavy losses could be expected on any raid to Berlin. So when the curtain was swept back on the briefing map to reveal the red ribbon stretching towards Berlin there was added tension for the bomber crews. Between November 1943 and March 1944 Berlin was the target no less than sixteen times. 9,112 sorties were flown and 495 aircraft were lost. As in his previous books, Alan Cooper has painstakingly researched all the details of the raids, telling the stories of individual crews who flew on them, of those who returned safely and those who were shot down, becoming POWs or evading capture, either returning to the UK or remaining at large in occupied Europe. He tells of the heroism of the pilots and crews grappling with heavily -loaded bombers against nightfighters, often nursing stricken aircraft back to base, with many failing to return. “What makes this book so remarkable and interesting is its anthology of short but graphic accounts of the trials and tribulations of the dozens of bomber crews involved...Bombers Over Berlin is unique in its compilations of such a large number of personal anecdotes covering the hazards of sustained fighter and flak attacks...a thoroughly well researched chronicle” Ken Batchelor, former Chairman of the Bomber Command Association. Sources are quoted and there are a number of personal stories. If you missed this in 1985 and are interested in the subject, buy it now. The real gems within the pages are the first hand accounts from the men who flew to the Big City. They are numerous and generously interspersed. These not only add interest but give bones to the facts and figures.